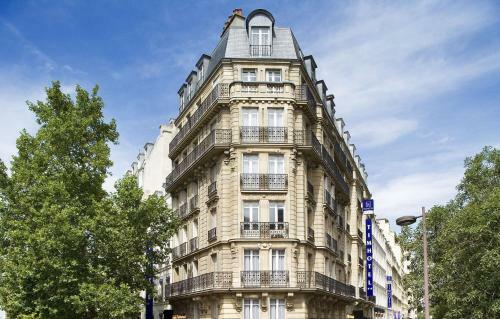 The Timhotel Montparnasse enjoys a convenient location at the foot of the Montparnasse Tower, opposite the main station in a vibrant part of Paris. The comfortable rooms are equipped with free Wi-Fi and satellite TV. 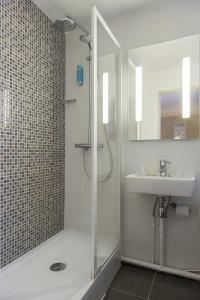 The en suite bathrooms are fitted with a shower. A buffet breakfast is served each morning at this Timhotel. 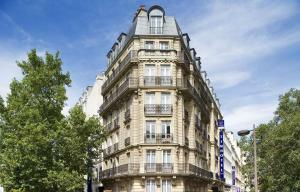 The Latin Quarter, Luxembourg Gardens and Saint-Germain-des-Prés are all within walking distance. 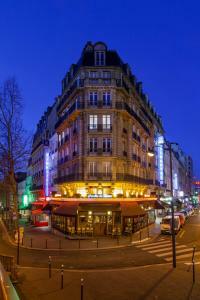 Other Paris attractions are easily accessed by the metro directly opposite the hotel. A lively business district surrounds this hotel as well as a variety of restaurants, shops, cinemas and theatres. Guests can have access to a sports club located nearby at a reduced rate. 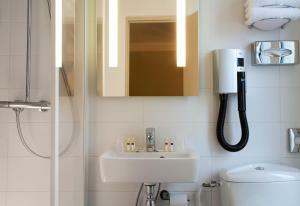 A TV and facilities for making tea and coffee are provided in this en suite room. Rate: € 61.00 ... € 195.17; select dates below to get current rates.